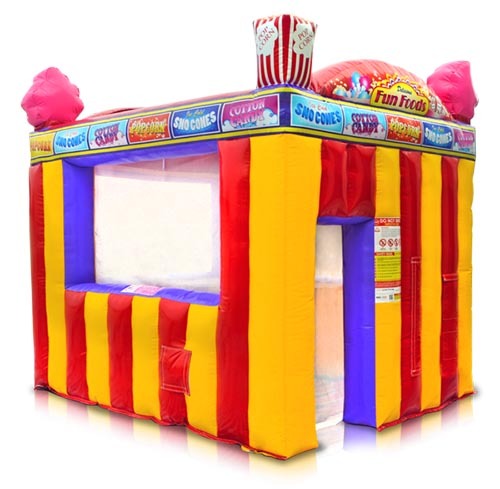 The concession stand is 10x8x9 inflatable where you can serve out of 3 windows. 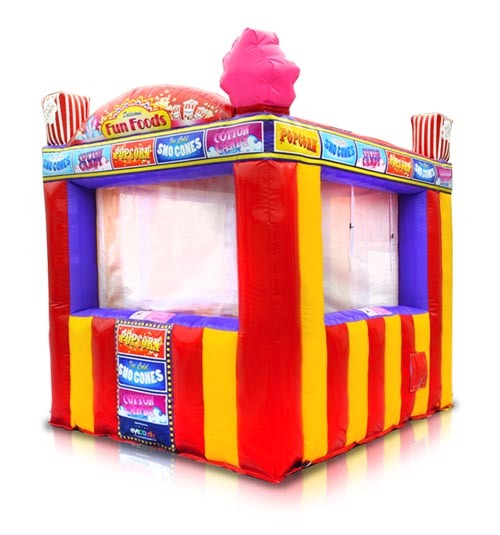 Great for popcorn, cotton candy, Sno-Cone, Nacho, Hot dogs, giant pretzels. 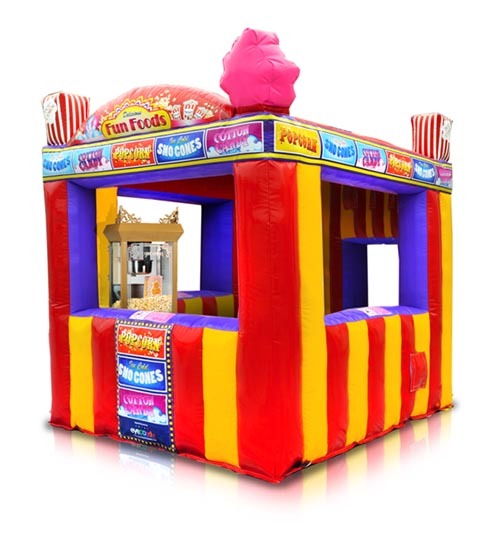 You can add this with two or three of our food carts or rent and service your product.